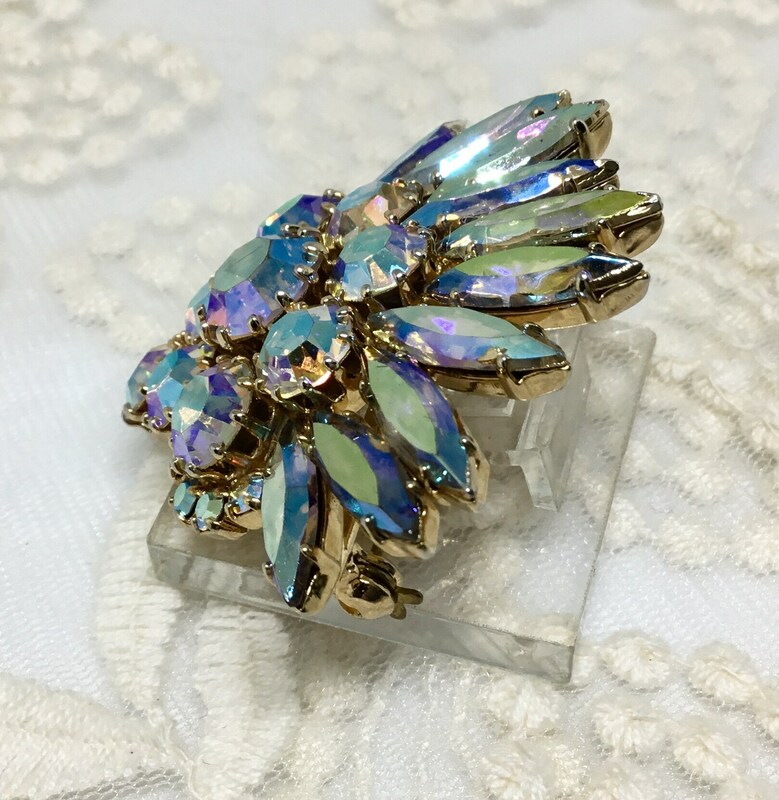 This is a super sparkly unsigned goldtone vintage rhinestone flower brooch. 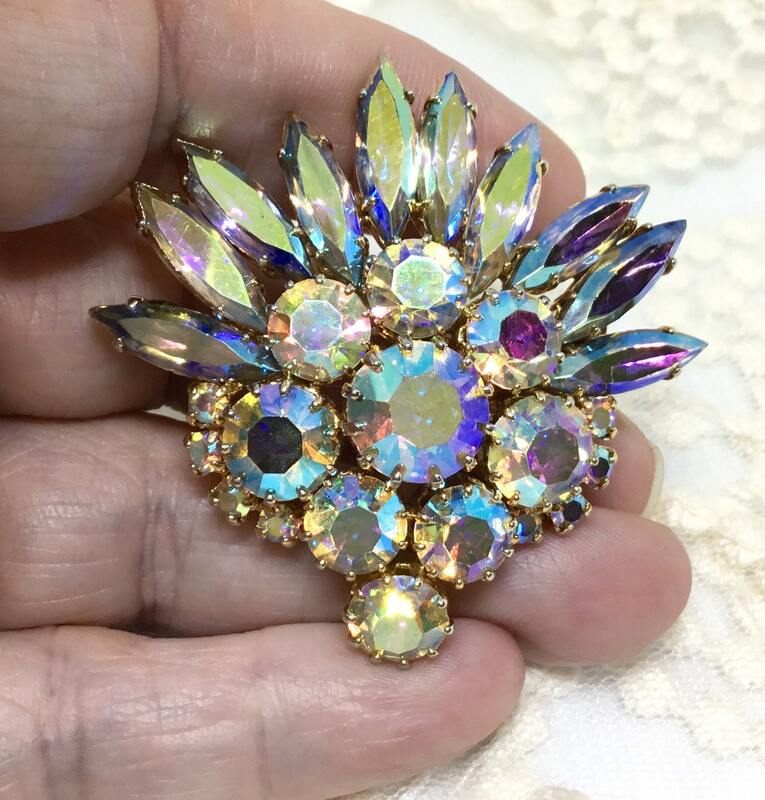 The flower is seven yellow pink Aurora Borealis round rhinestones around a larger like stone. 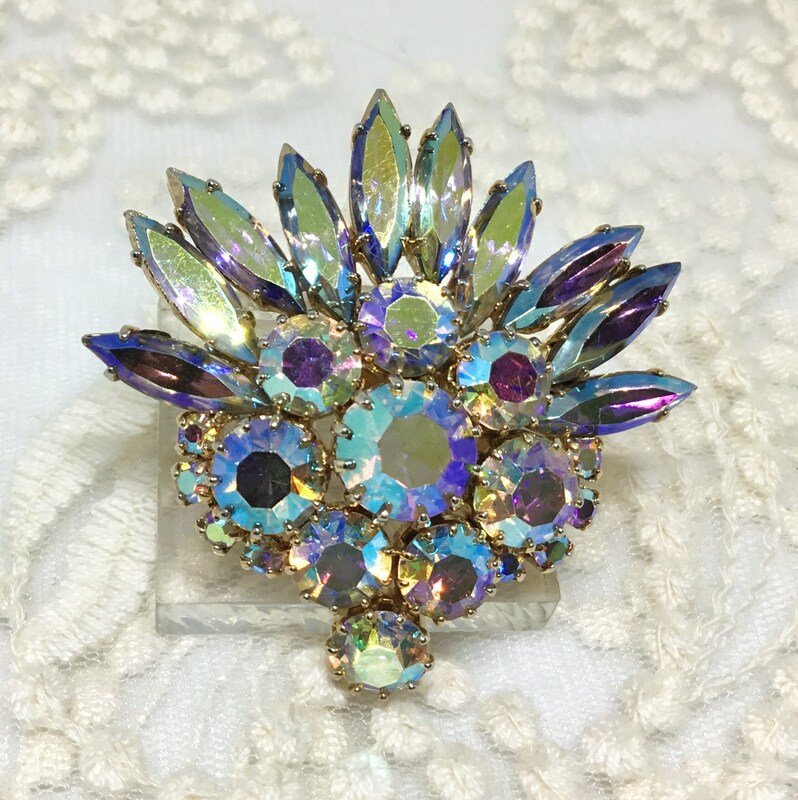 In a fan across the top of this flower are ten peacock navette rhinestones. 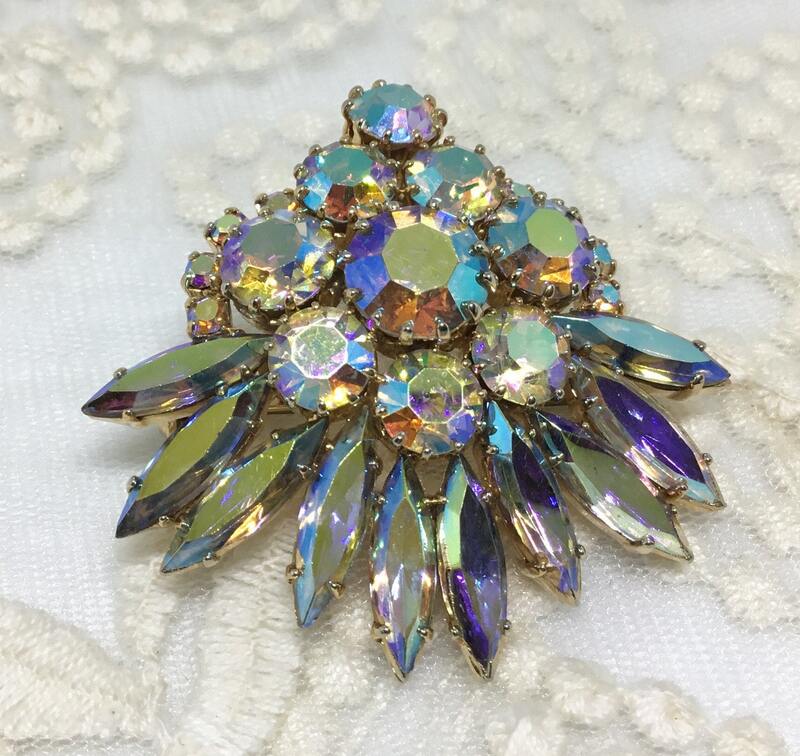 It is a gorgeous piece but does have some wear to the AB finish on a few rhinestones. This is really not noticeable unless somebody takes a magnifier to it. 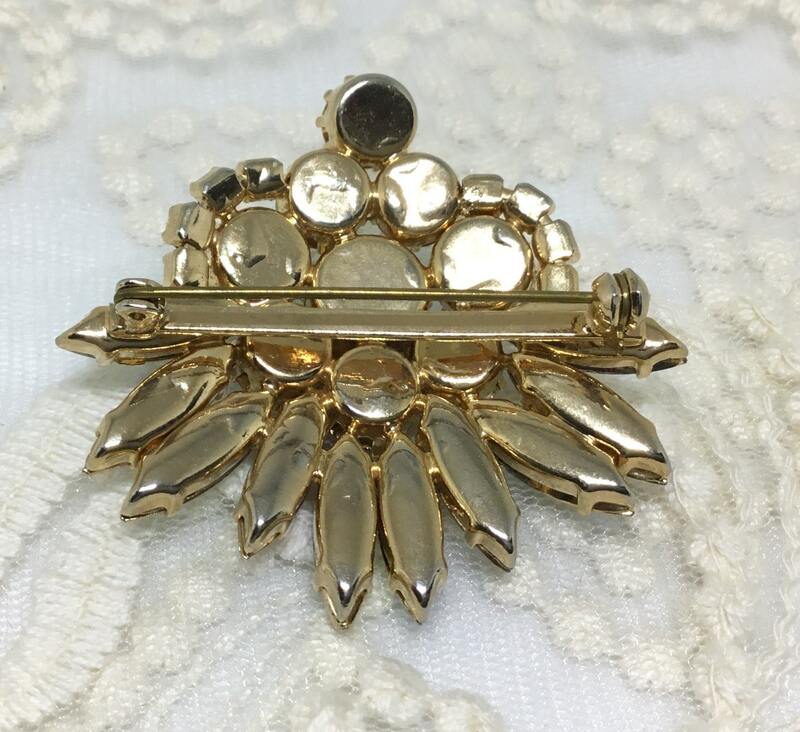 It measures 2” x 1 7/8” and the pinback is straight and works smoothly and securely. 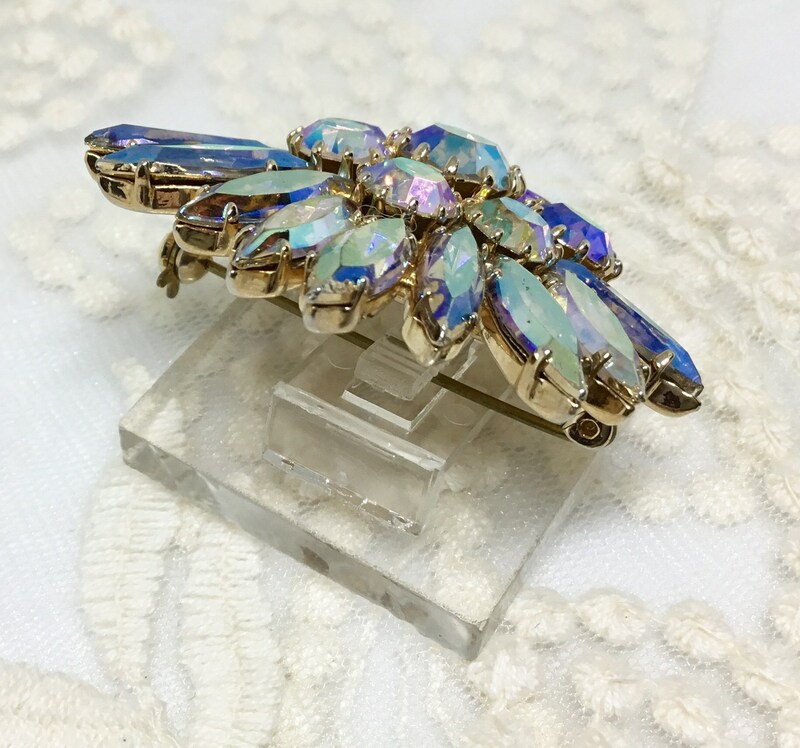 This is a great brooch to wear on a denim jacket or tomput on a wedding bouquet!